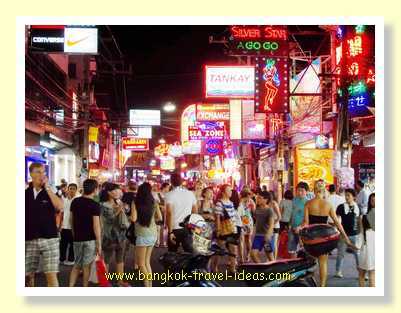 Pattaya Walking Street is closed to traffic in the evening and this is when it comes alive. As the sun goes down the neon lights shine against the dark sky and the music starts to blast out. 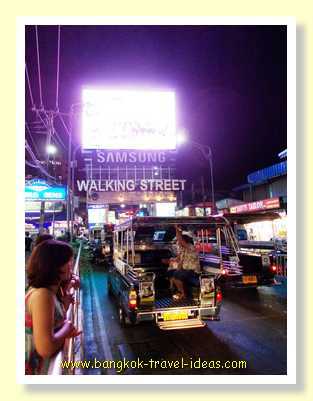 When you reach the end of Beach Road Pattaya, you can see before you the illuminated sign of Walking Street. Just cross the road and enter. 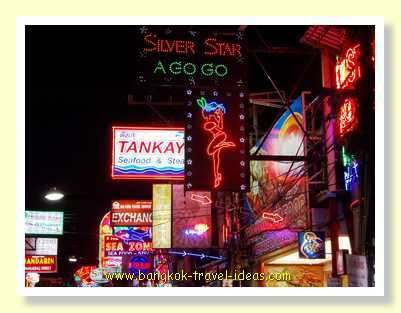 Once inside the street you can see the vast array of neon signs for the Pattaya bars and restaurants. Around this place you can get some great Pattaya seafood. 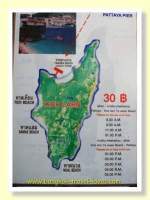 All of the great restaurants on the right hand side lead out over Pattaya Bay. So you can sit and eat some lobster, prawns, squid or choose from the many types of fish that are available. Enjoy some great Pattaya seafood whilst looking out over the water. It is particularly nice when the sun is just going down or on a moonlit night with the moon reflecting off the boats in Pattaya Bay. Of course there are bars full of Pattaya girls, holding up signs showing their drink prices, but the place also has its own characters just chilling out and enjoying themselves. This guy below was having a great time dancing to the music from the Pattaya bars on Walking Street. 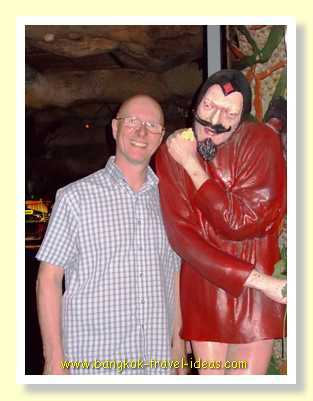 In fact, he was having such a good time that many of the tourists joined him. Russians just love to dance on the street. The Chinese on the tours didn't fancy a dance but they all took videos and photos of this guy. He has to be the most photographed character, with his picture taken all around the globe and I am sure he will be appearing on YouTube or Flickr. Someone else getting in on the act. Let's have a quick dance to those thumping beats. Everyone was having a great time. Further along Walking Street were some mime artists. 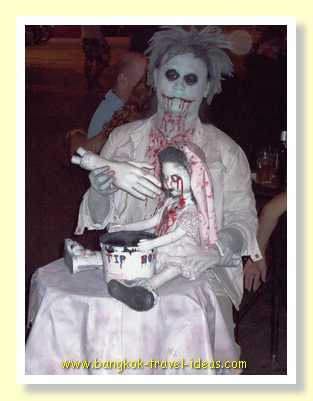 This one looks pretty horrific. Generally they would like you to pay to take a photo and if you don't goodness only knows what might happen to you. 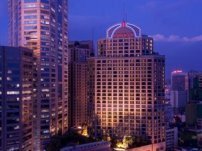 Pattaya Go Go bars lit up with bright neon signs flash overhead as you walk along the street and each of the bars are pumping out their own style of music. A couple of bars had live band performing. There are tour groups of Japanese and Chinese being herded along the street. You can easily spot them as they have a tour guide holding up a flag leading them on. 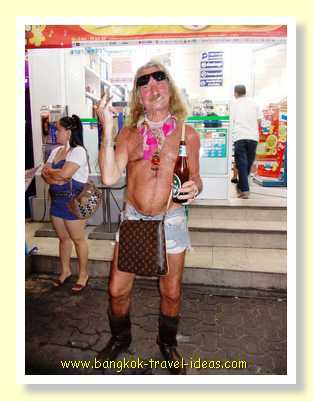 Many of the Russian tourists in Pattaya just find there own way around the place. 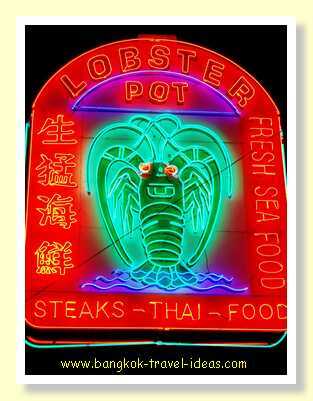 The Lobster Pot restaurant looked especially enticing and all of the eating places have the menu in multiple languages; mostly Japanese, Russian and English with some also in Chinese. 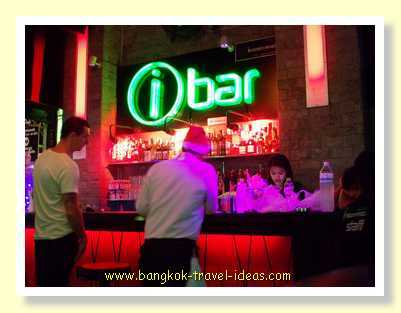 As the night wears on people start to move from the Pattaya bars into the nightclubs around midnight. 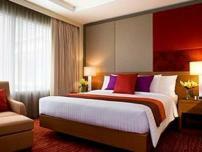 Most places do not have any entry charge. They have table service and drinks are brought to your table and paid for when delivered. 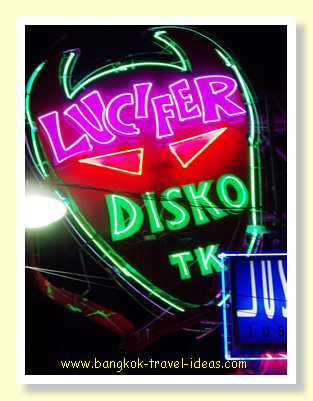 Lucifers Disko and Club Insomnia are two of the many night clubs on Walking Street. Most clubs should close their doors at around 2:00am but it all depends upon the police presence and often things can go on much later. 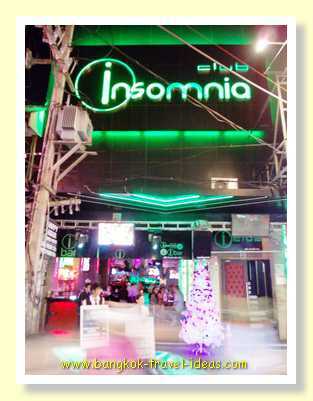 Come out of the Pattaya Walking Street nightclubs when you have had enough and walk back to the entrance sign. Here you can take a right and walk to the first intersection where there will be many songthaews to take you back home. If you walk the other way down Walking Street then you will find yourself at the Bali Hai Pier. 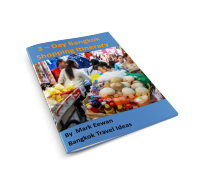 Continue reading to find out about the excitement of Nong Nooch Gardens, which is where we are going tomorrow.